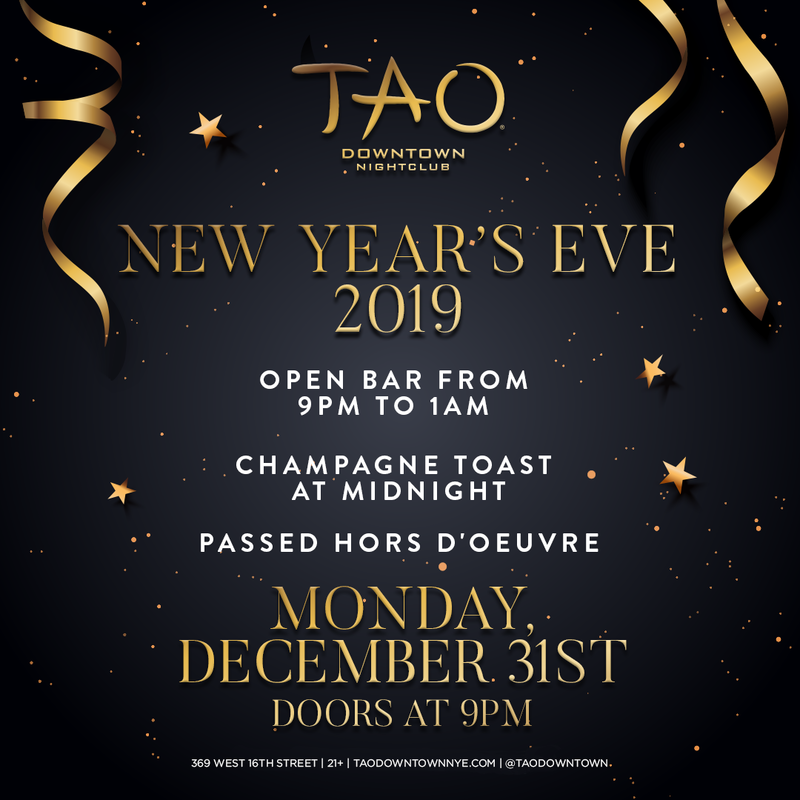 Spend your New Year's Eve at TAO Downtown's nightclub, and discover what it means to party like a New Yorker. This club, tucked away next to the iconic restaurant, is a hidden gem that attracts locals and celebrities alike. Come start your best year yet at the most exciting blowout that New York City has to offer. 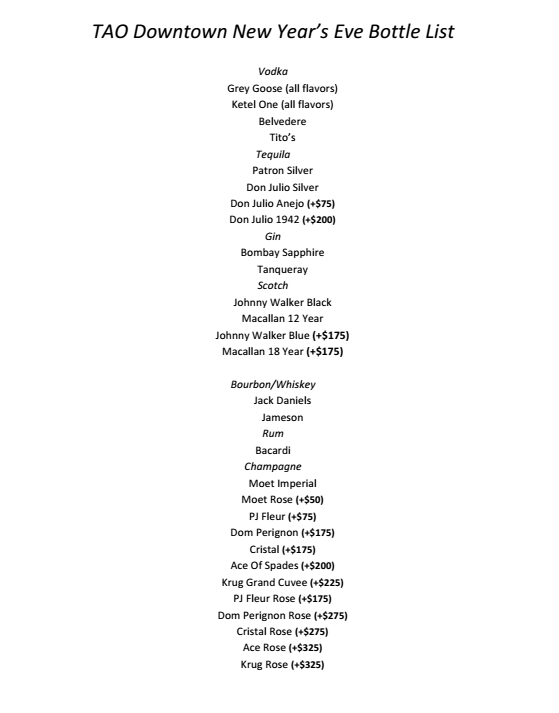 Kick off the evening by taking advantage of the four-hour premium open bar, complete with a delicious selection of passed hors d'oeuvres. Afterwards, head to the dance floor to enjoy a live DJ playing an epic set of hip hop, house, and Top 40 hits. As midnight approaches, toast to the New Year in style with a complimentary glass of champagne. Those who take their nightlife scene seriously should secure one of TAO’s VIP packages, offering perks such as reserved seating and bottle service. Spend your night on a cultural journey as you explore this chic nightclub in the heart of the NYC late-night scene. Designed by the iconic Rockwell Group, this intimate venue is renowned for its beautiful Eastern aesthetic. Gorgeous murals hand-painted by UK street artist HUSH pay homage to feminine sensuality and Asian beauty against a backdrop of classic exposed brick walls. The cool hues of the lights bounce off the massive disco ball hung in the center of the room, reflecting dreamy patterns on to the dance floor below. With this vintage aesthetic and modern energy, you'll party like a New York celebrity. Prepare to be transported to another world this New Year's Eve with a sophisticated blowout unlike any other. Grab your tickets today for this truly unique event.